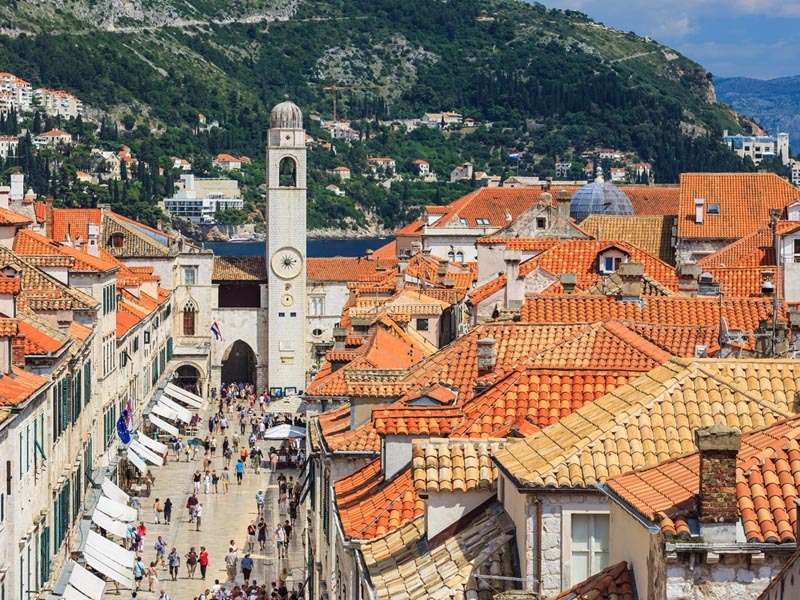 This 11-day, 10 overnights tour crosses three countries, Croatia, Slovenia and Bosnia and Herzegovina on a journey to discover gems along the Adriatic coastline. 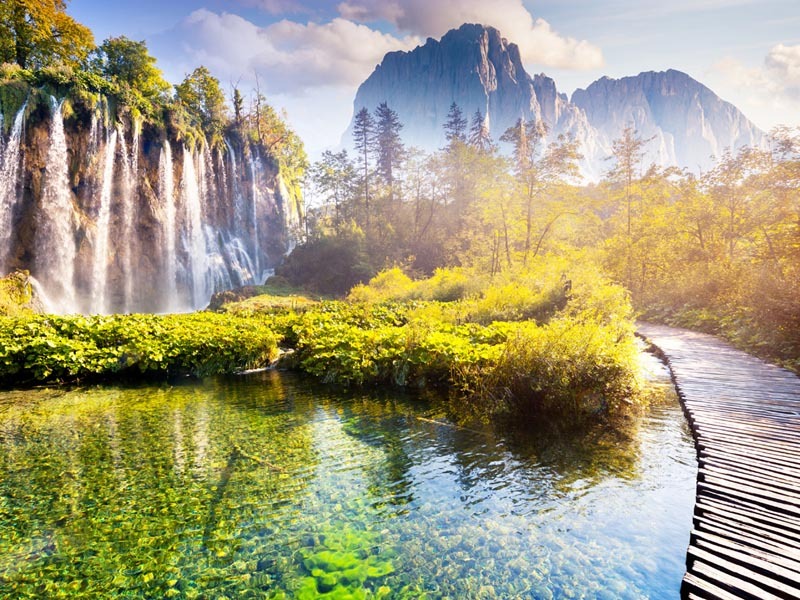 The voyage starts in the picturesque capital of Slovenia, Ljubljana, before continuing to discover the underground world of Postojna Caves, and the medieval Predjama castle, mysteriously built into a cliff. 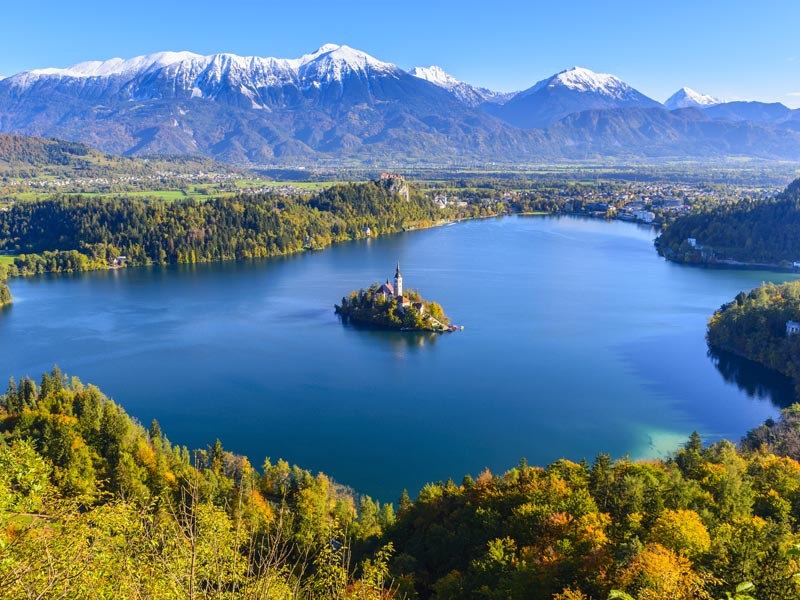 Travelers will enjoy the tranquility of Lake Bled’s blue waters beneath the peaks of Julian Alps, before departing Slovenia towards Croatia. 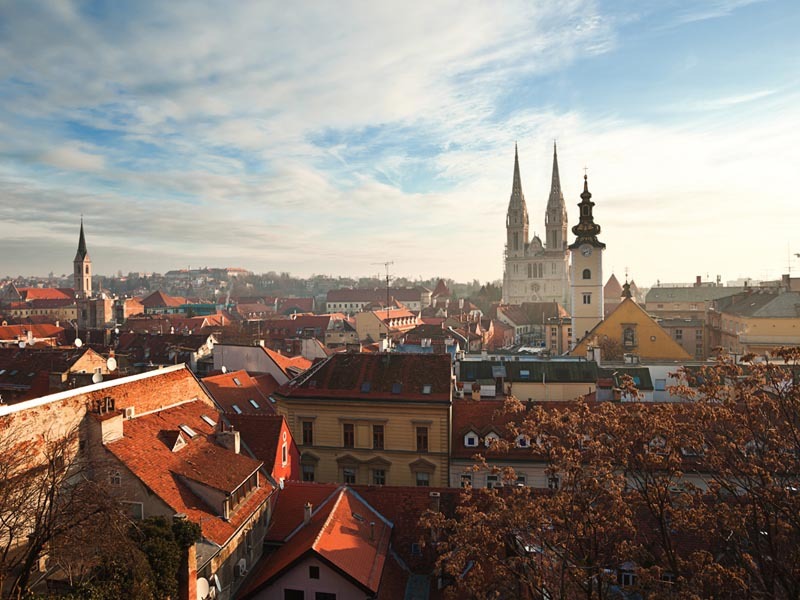 The next adventure is amidst the rolling green hills of Zagorje region and on vibrant streets of Zagreb. 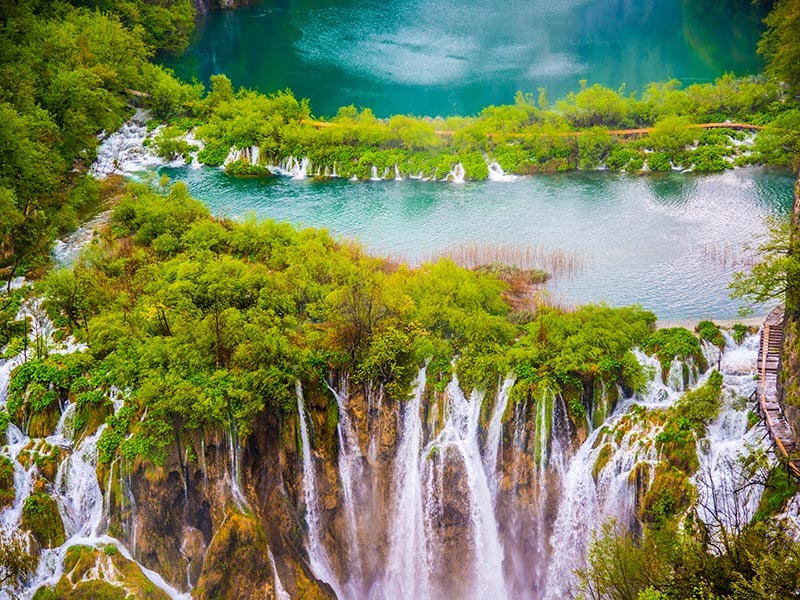 Be swept away into the fairy tale like landscapes of the cascading lakes in the Plitvice Lakes National Park, frequently ranked among most beautiful national parks in the world. 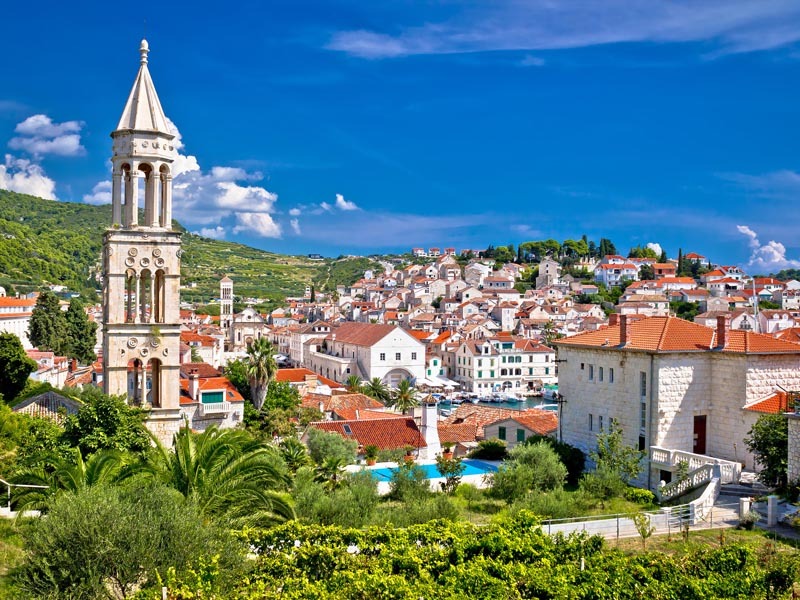 Taste the famous Maraschino cherries in Zadar, sip coffee alongside locals on Split’s Riva and explore the lavender scented island of Hvar. 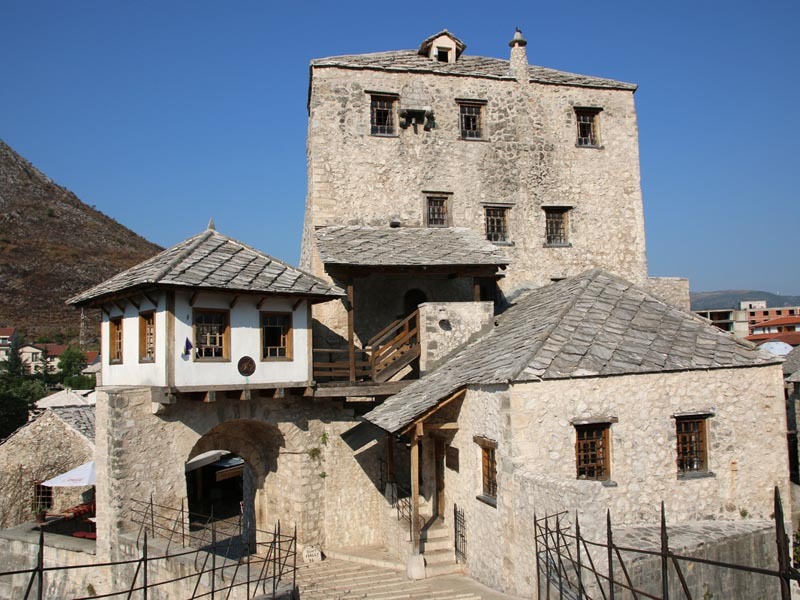 Walk cobbled streets in Mostar, with the perfect background vistas of the famous Old Bridge over Neretva River. 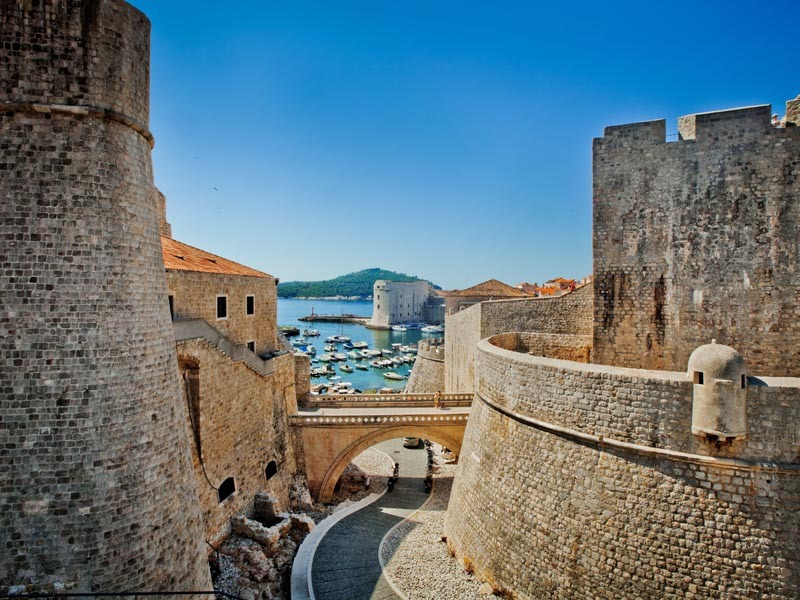 End the journey on a high note discovering the medieval alleys, forts and famous city walls of Old Town Dubrovnik. 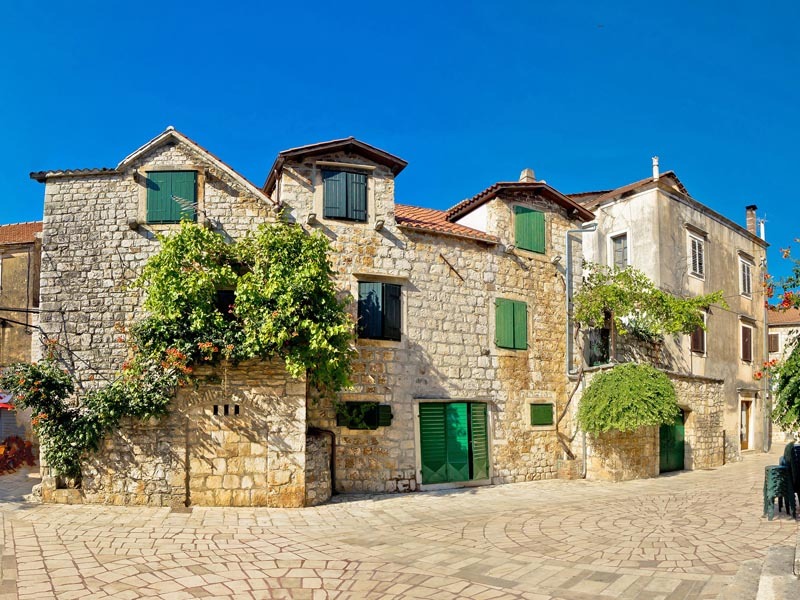 Enjoy the classic gems of the Adriatic region. 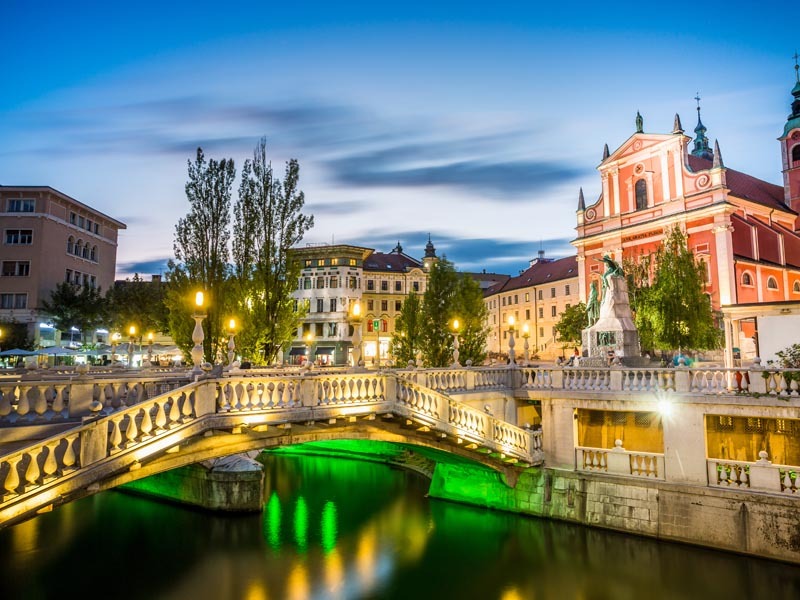 The adventure begins in the capital of Slovenia, the picturesque Ljubljana. Upon arrival, transfer to hotel, hotel check-in and time at leisure. 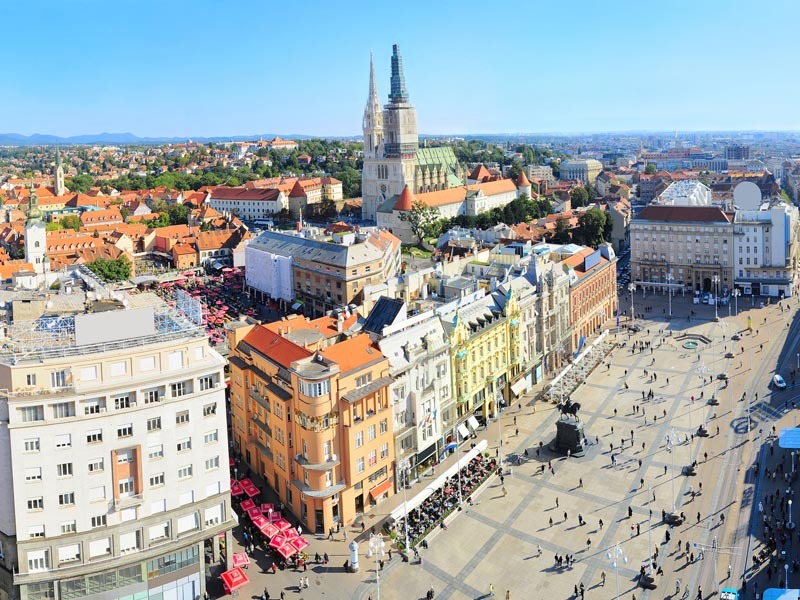 This day is dedicated to discovering Ljubljana, the capital and largest city of Slovenia. 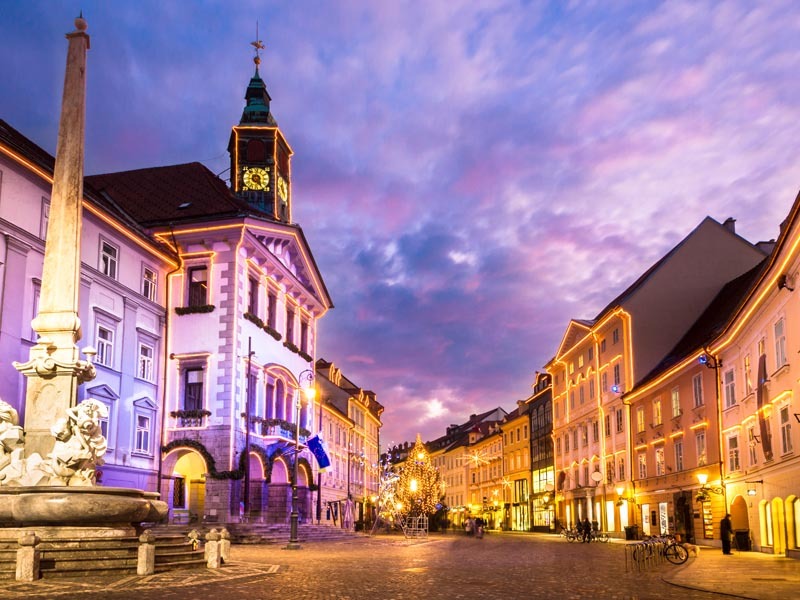 Join our expert local guide on an walking city tour of Ljubljana’s sites. 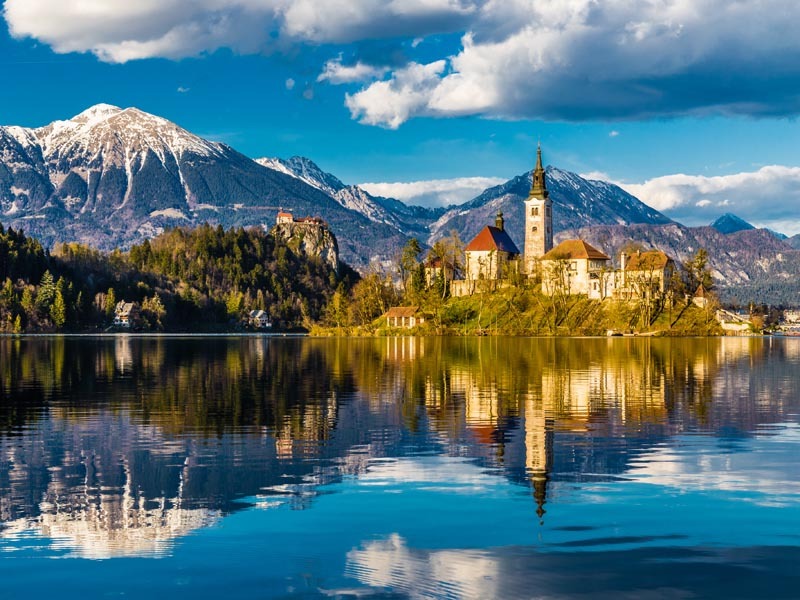 In the afternoon, depart for Bled, a charming town on the banks of mountainous Lake Bled. 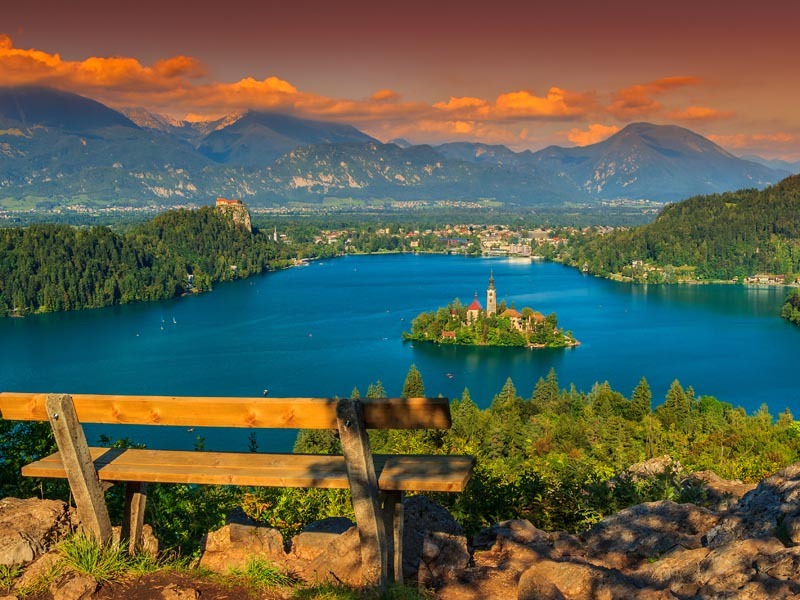 Take a traditional boat out to visit St. Mary’s church, located on a small island in the midst of the lake and enjoy vistas from a medieval castle perched high on a cliff above the lake. Late afternoon in Ljubljana at leisure. 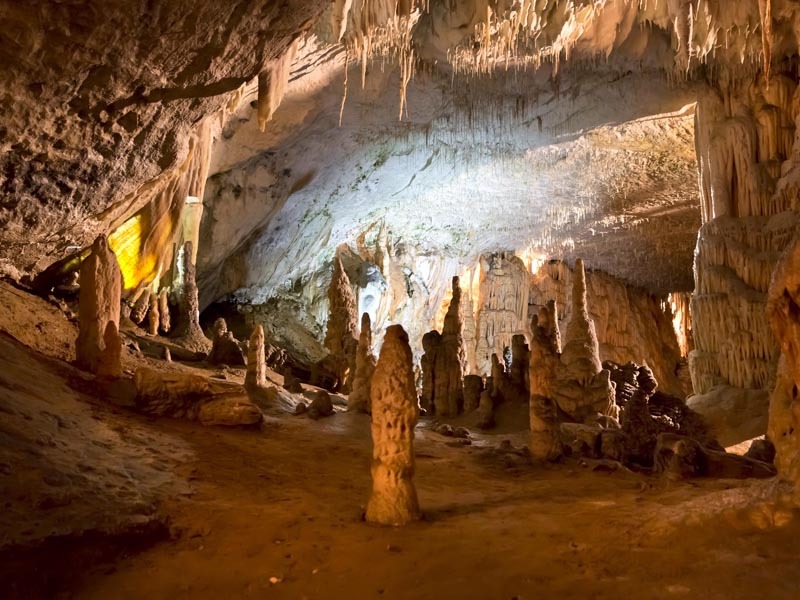 Depart Ljubljana in the morning for a panoramic drive to Postojna Cave, the most visited site in Slovenia. Discover this underground kingdom of tunnels, galleries and chambers on a guide tour. 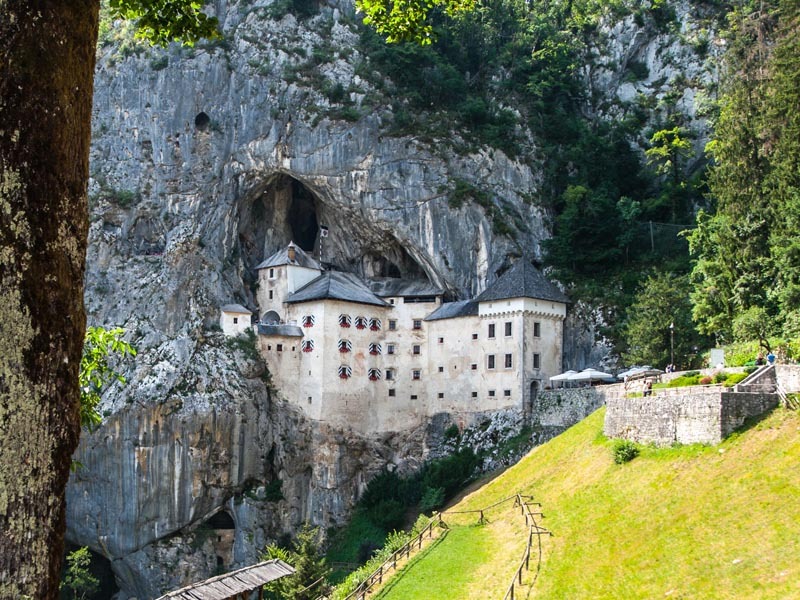 After a lunch break, continue to explore the Predjama castle, a 700 years old castle looming over a vertical cliff in nearby Predjama village before ending the day in Zagreb. 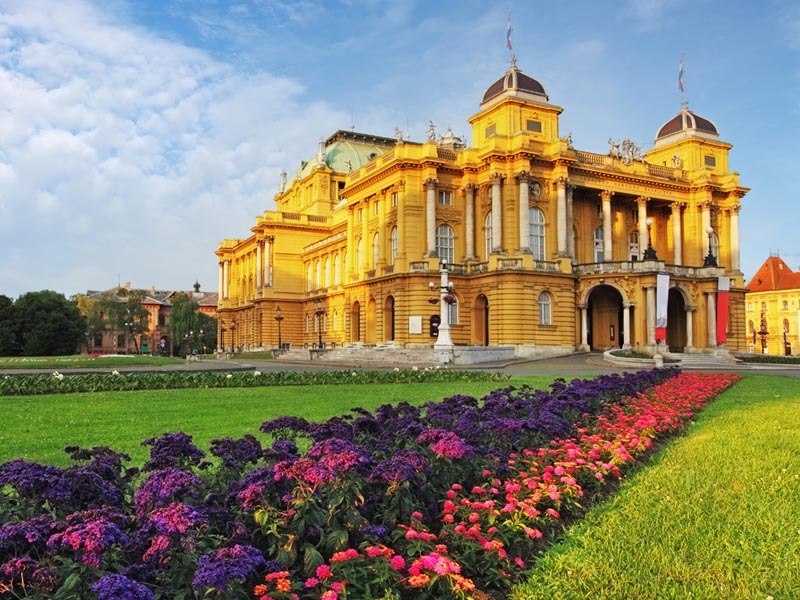 Start this day by discovering highlights of Zagreb on a guided walking tour including Zagreb Upper Town, Lotrscak Tower, St. Mark’s Square, Parliament Building, Stone Gate, Strossmayer Promenade and more. In the afternoon, drive to Zagorje region and visit the Old Village Kumrovec ethnographic museum for a taste of traditional life of the region. 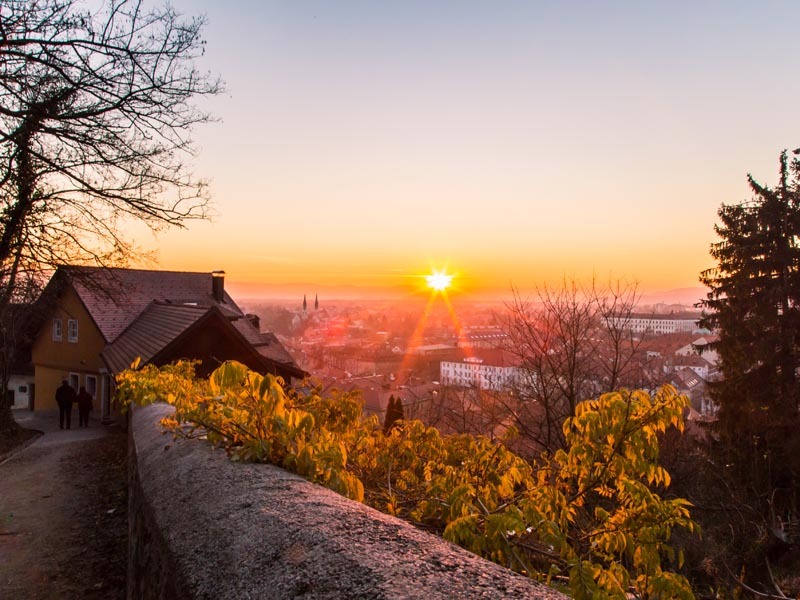 Next, the day continues with a guided tour of Veliki Tabor, one of the most important monuments in continental Croatia and among best-preserved continental castles. 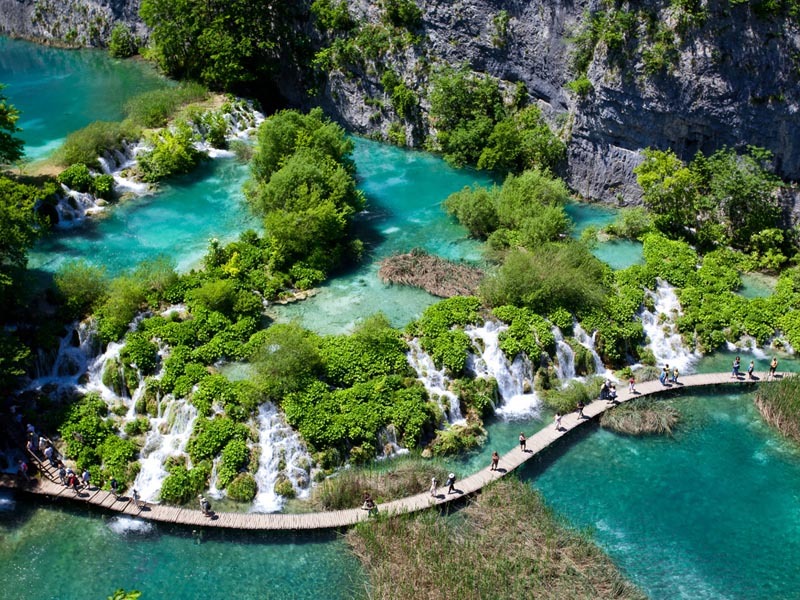 Today the tour departs Zagreb in the morning to drive to Plitvice Lakes National Park, a UNESCO site and most popular national park in the country. Spend the morning on a guided walking tour of the park including a lake boat ride. 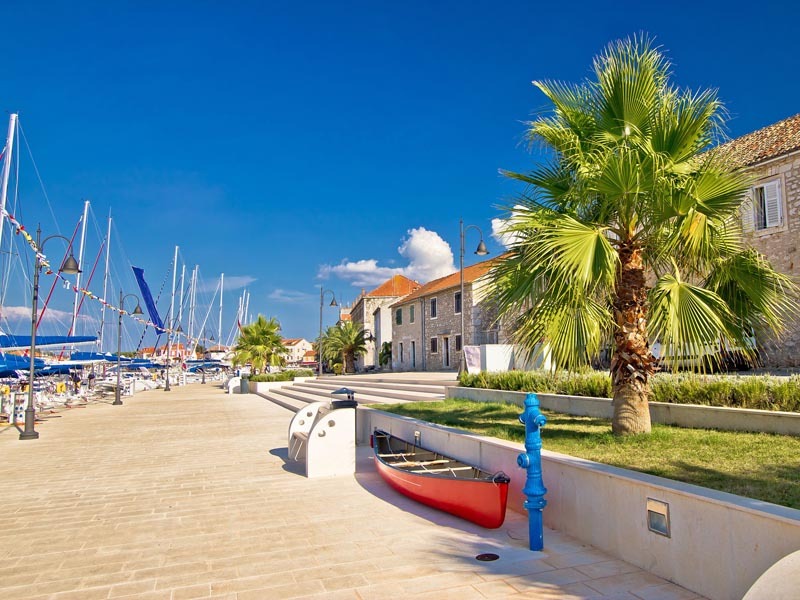 The tour continues to Zadar, where travelers are led on a guided walking tour of the historic center, including ancient Roman sites, vibrant cobbled alleys, and stunning coastal front known to have the most beautiful sunset in the world. 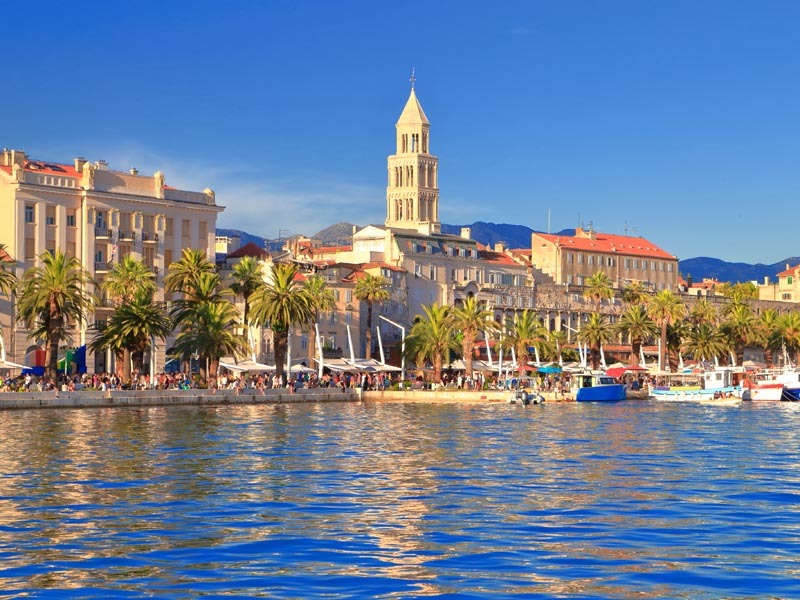 End the day in Split. 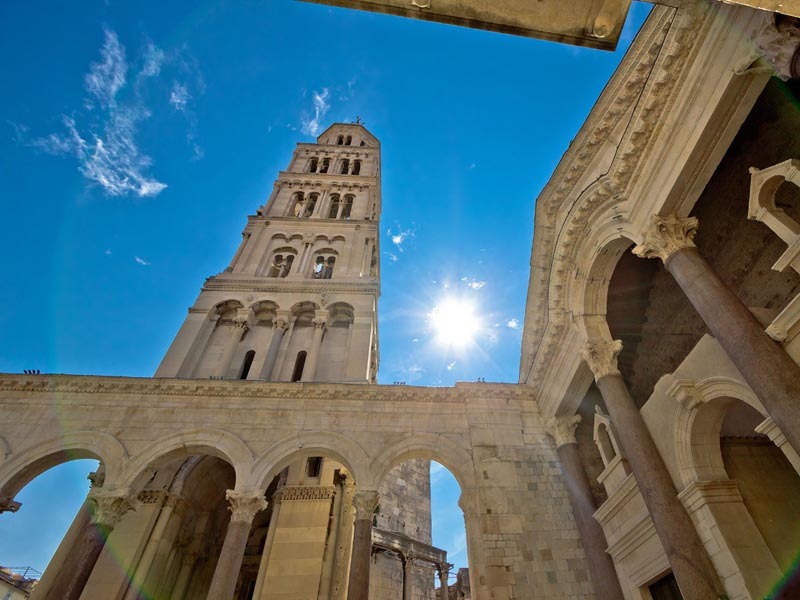 Spend a day exploring Split, the historic center of Dalmatia region. 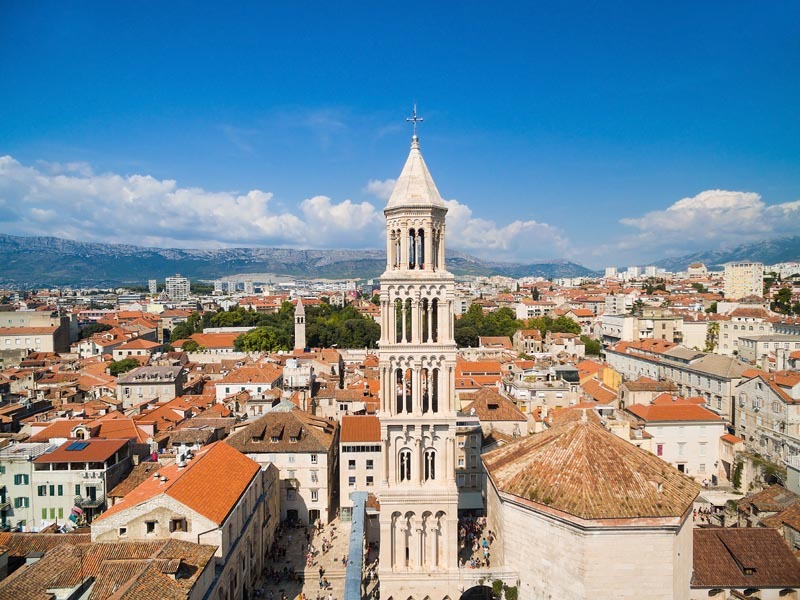 A guided walking tour includes Diocletian’s Palace, the historic core of the city, Roman monuments, sacral sites, the popular Riva and Split’s always vibrant narrow alleys lined with boutiques, restaurants and coffee bars. Afternoon at leisure. 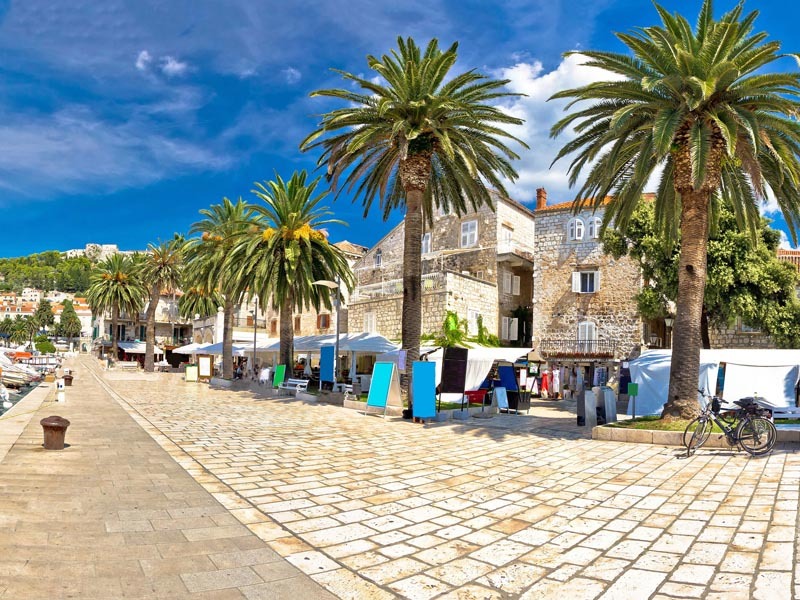 The day starts aboard a catamaran from Split to Hvar Island where guests will spend this day on a guided walking tour of the historic harbor town Hvar. After sightseeing, free time on the island before return to Split. 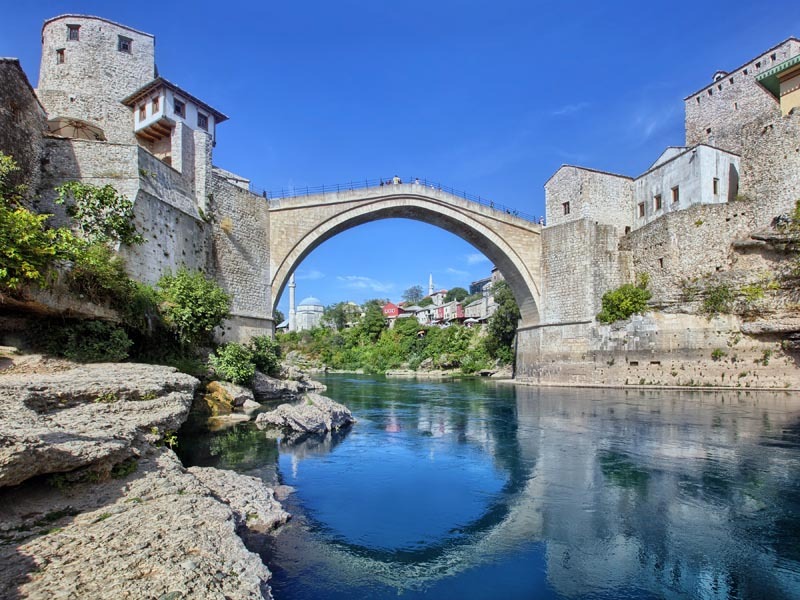 This morning depart Split and drive to Mostar, home to the most famous bridge on the Balkan Peninsula, the Old Bridge. 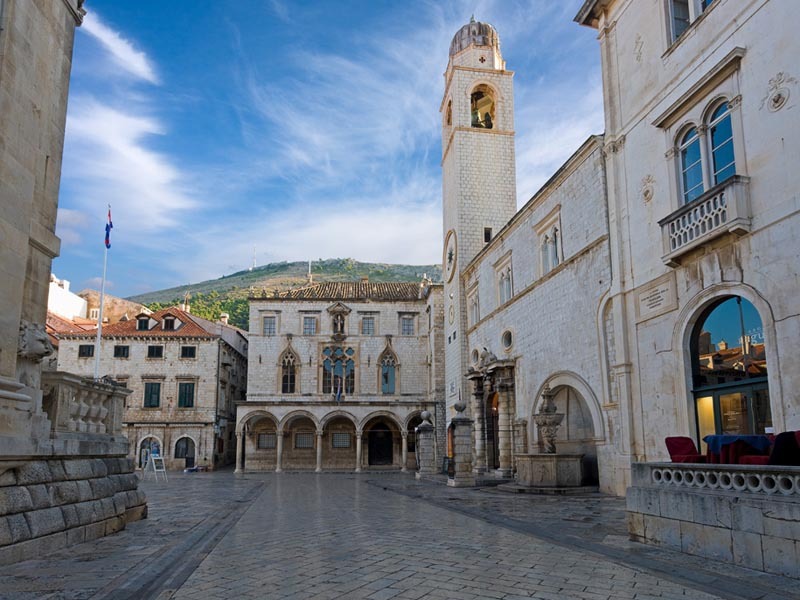 Travelers will discover layers of history of this spectacular city and a UNESCO site on a guided walking tour. 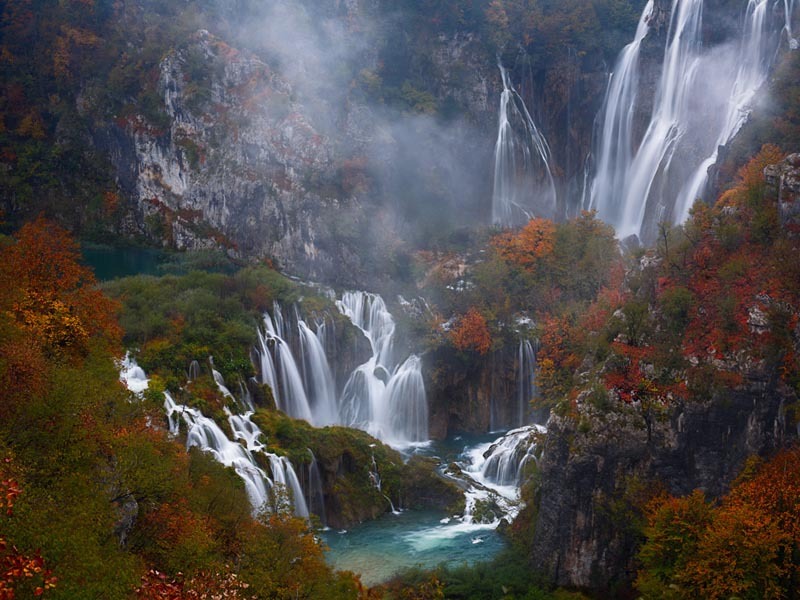 Afterwards depart Mostar and drive to Dubrovnik. 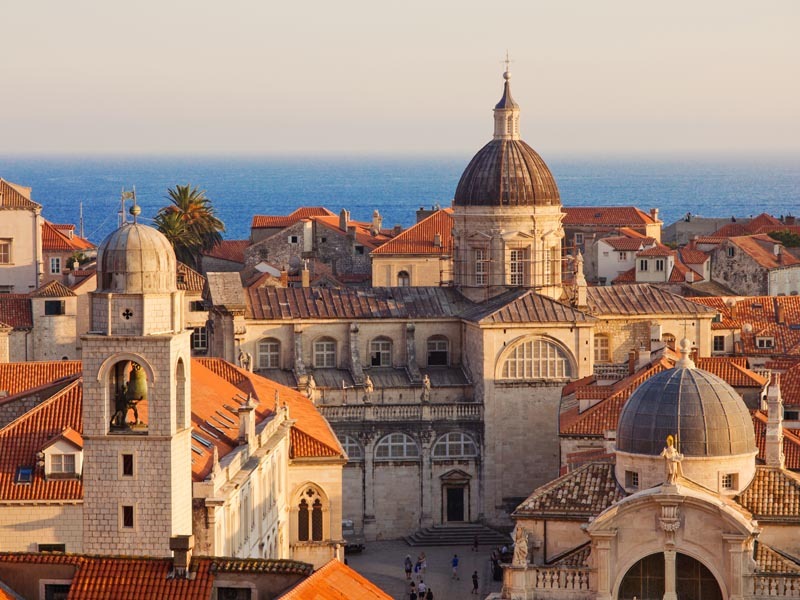 This day will start with vistas from atop Srdj Hill, and continue on an expertly guided walking tour of Dubrovnik’s Old Town, a UNESCO site and Croatia’s most famous seaside resort. 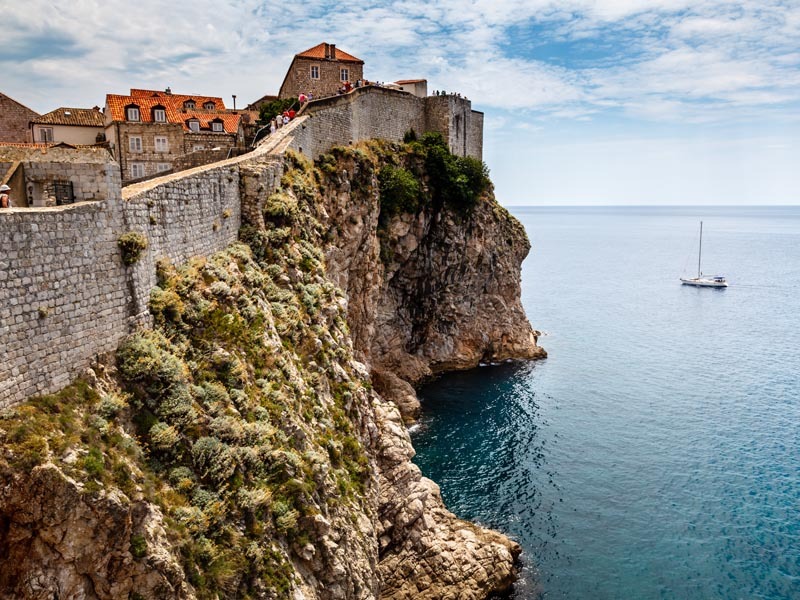 Travelers get to learn about Dubrovnik’s intriguing history, epic battles, most beautiful monuments and even some favorite local spots. Rest of the day is at leisure, with plenty time to wander through narrow streets in Old Town, and discover most beautiful local beaches. The last day on the tour is at leisure. 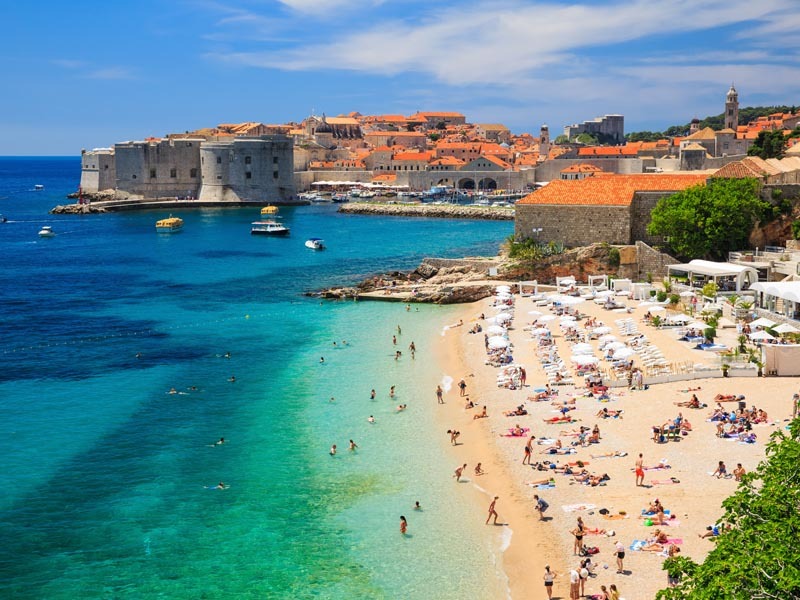 Travelers can opt to explore Dubrovnik and nearby islands on their own, relax on some of the local beaches or opt for one of our optional local or Montenegro tours. 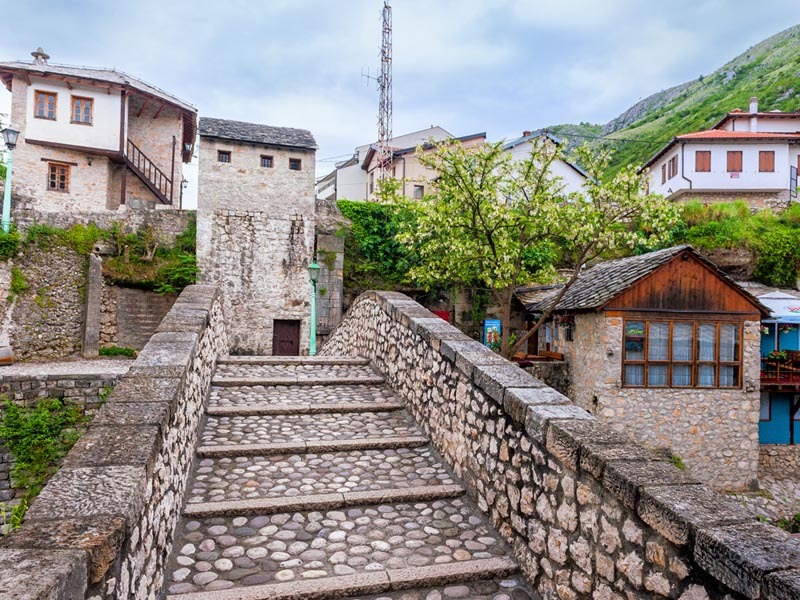 Home to Balkan’s most famous bridge, Mostar takes its visitors by surprise with charming alleys, Ottoman architecture and its astonishingly diverse historic heritage.